VirtualBox is getting increasingly popular, and with that, frustrated users of virtual machines having netbook-like screen resolution are getting more and more frequent. That's not really anybody's fault. From version 1.5, Xorg defaults to an automatic, zero-interaction configuration. It's attempting to guess the actual resolution of the connected display at boot time and does not rely on the trusted xorg.conf (which is generated, but contains just a few dummy entries). 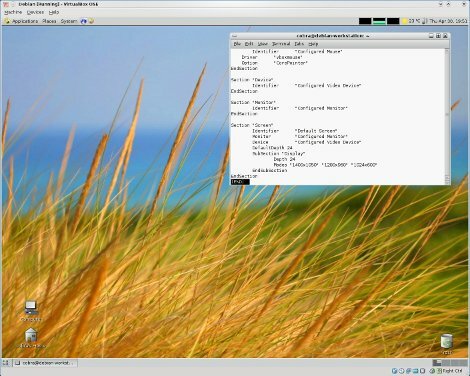 For a VirtualBox display, anything is possible in terms of resolution, and Xorg thus falls back to a conservative 1280x768.